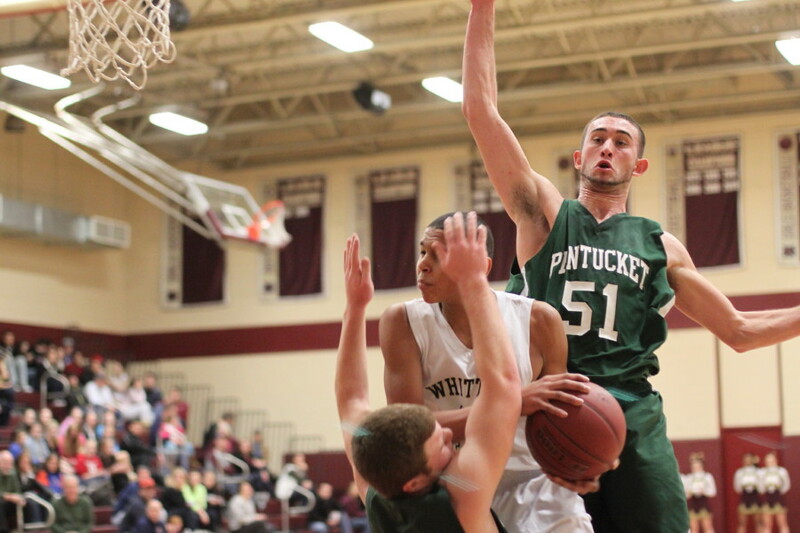 (Haverhill) Undefeated Whittier Tech (7-0) broke away from Pentucket (3-3) in the final three minutes and defeated the Sachems, 62-57, in a nonleague game at Whittier. 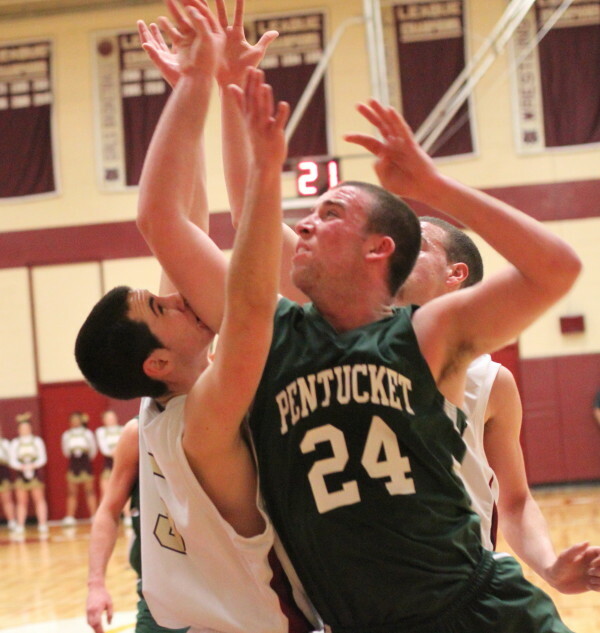 Pentucket lost despite having a nine-point lead in the first half and getting big numbers from Will Angelini (26 points) and Corey McNamara (21 points). The remarkable thing about Will’s points is that he didn’t score any during the last 1 ½ quarters thanks to a concentrated Wildcat defense. 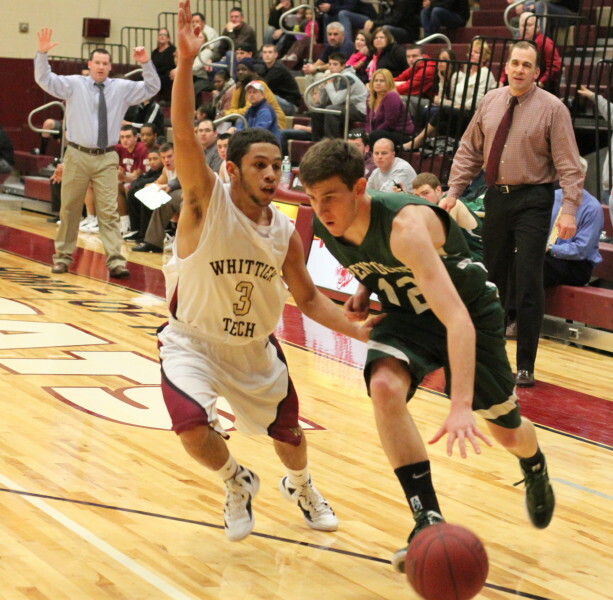 With Will under control, Whittier’s scoring duo of Justin Reyes (26 points) and Ryan Grant (15 points) took over. Between them, the two juniors tallied seventeen of Whittier’s points in their final game-winning run (23-10) over the last twelve minutes. 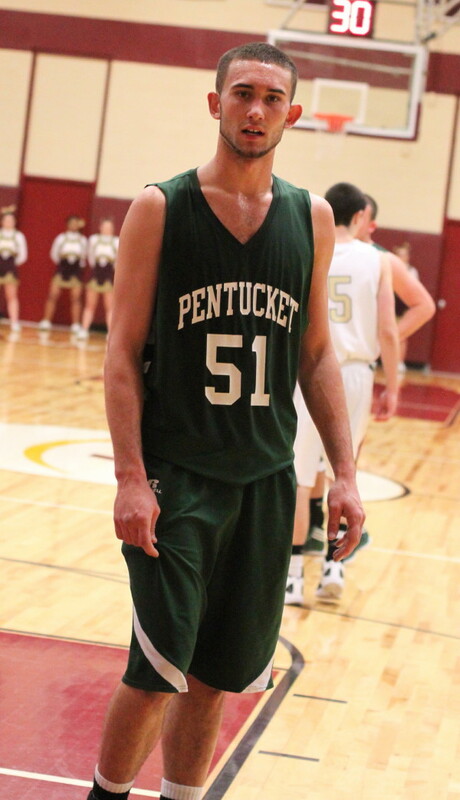 I saw Ryan Grant last year when Pentucket won, 63-52. He’s a clever dribbler always looking for his shot or a chance to penetrate. 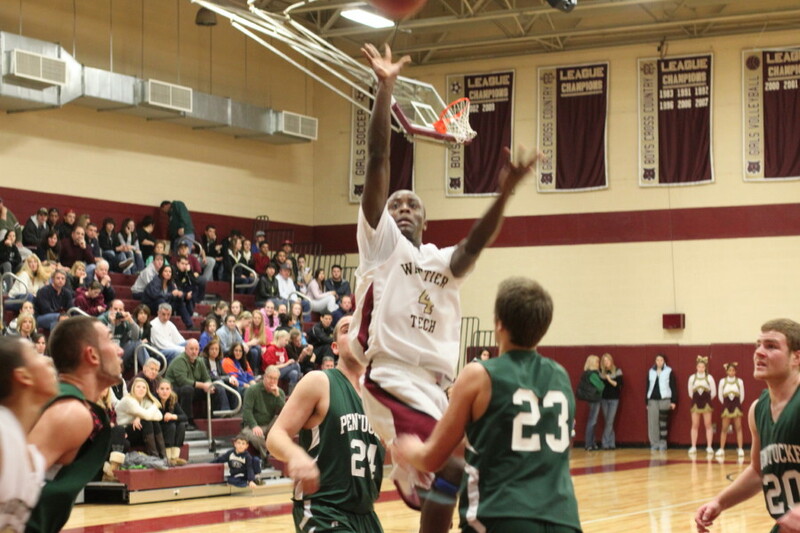 He put seven points together and took the Wildcats from a 49-46 deficit late in the 3rd period to 53-53 tie 2 ½ minutes into the final quarter. 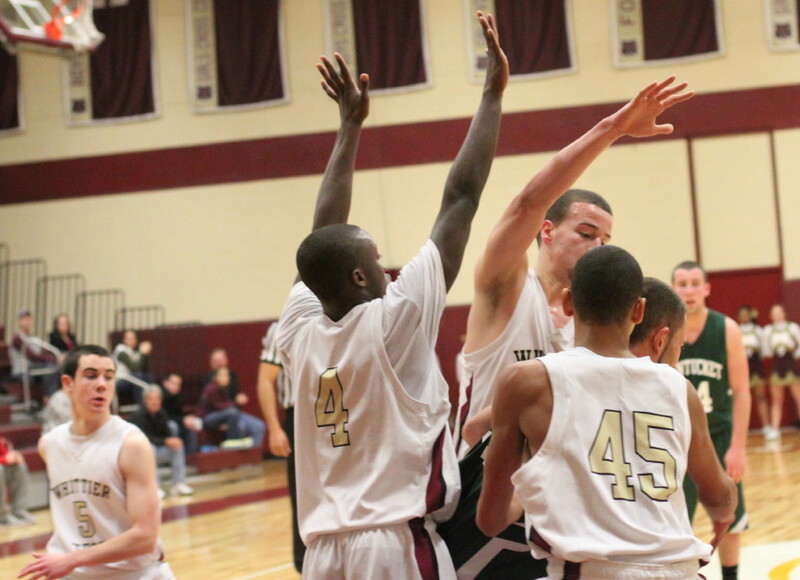 His two free throws, three minutes later, gave Whittier the lead for good, 57-55. Justin Reyes (6-3), kept the ball away from the dangerous Will Angelini over the final 1 ½ quarters, converted two rebounds, and took a steal in for a 3-point play down the stretch. 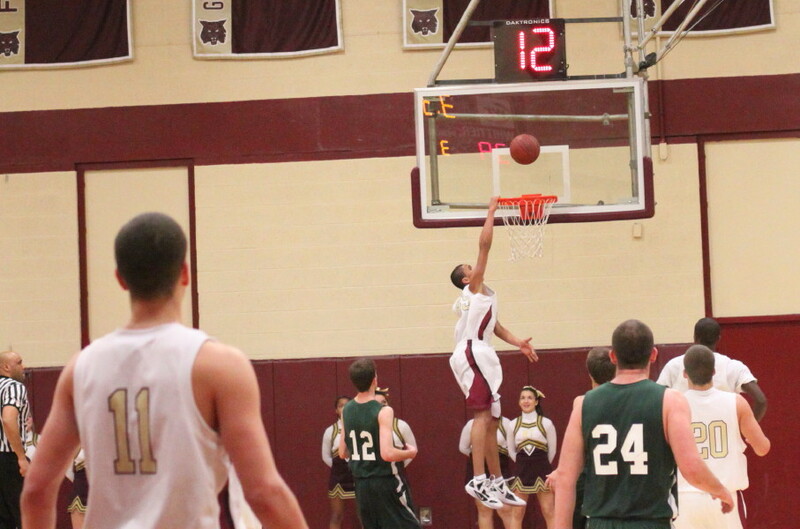 The slender lefty put back three other rebounds successfully earlier in the game. 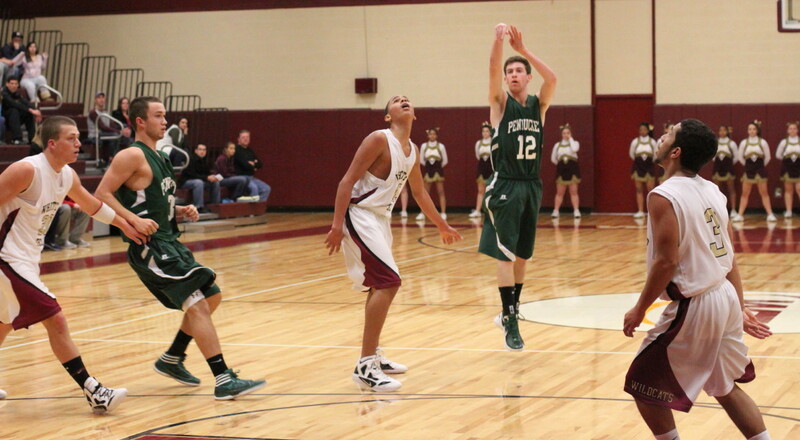 The Sachems became one-dimensional (Corey McNamara) late in the game. And it seemed that every time Corey had the ball he had multiple defenders flying at him. He put up nine points late but it just wasn’t enough to hold off the Wildcats. 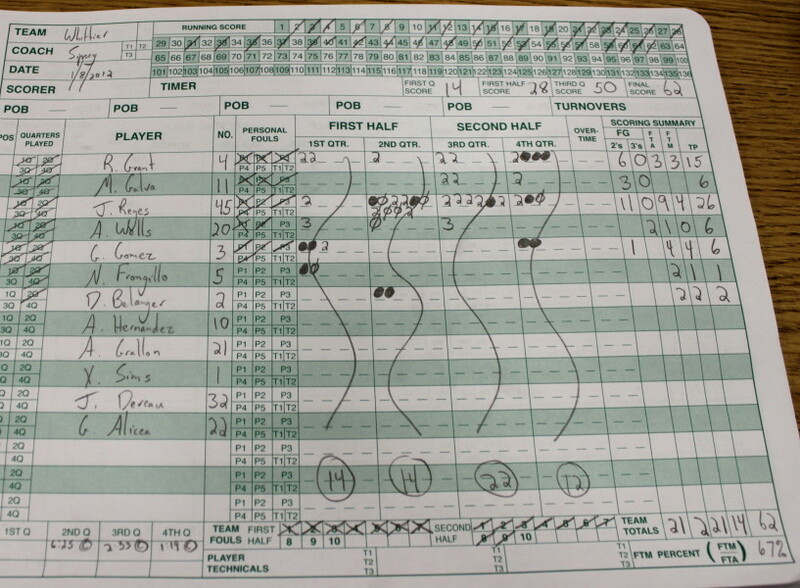 Trailing, 61-57, with a minute left, the Sachems had at least three shot attempts to get closer before Justin Reyes got a rebound, was fouled, and scored the final point of the game. Good crowd on hand to watch the unusual girl/boy double-header. 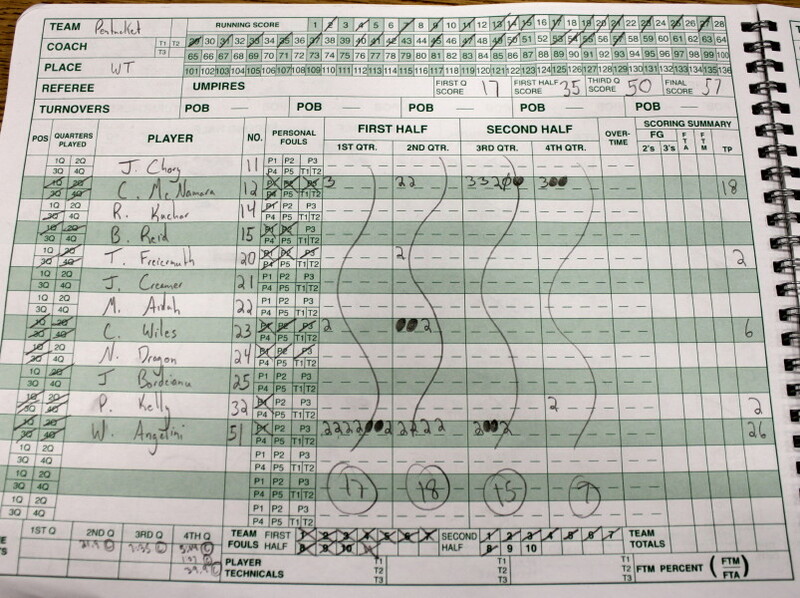 The Pentucket girls won a close one in the first game. The Whittier staff recovered nicely after having no rosters available at game time to provide them at halftime. To say that Will Angelini (6-6) had it going in the first half is an understatement. 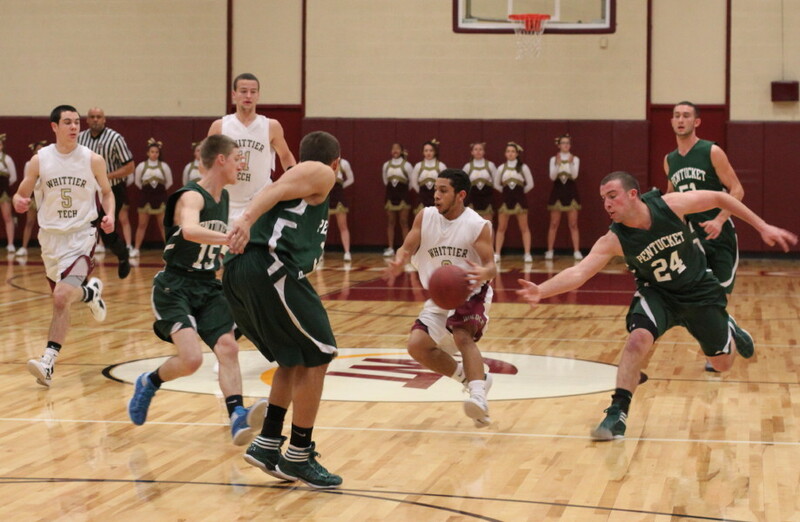 The Wildcats were unable to defend his fall-away jumper in the lane area. 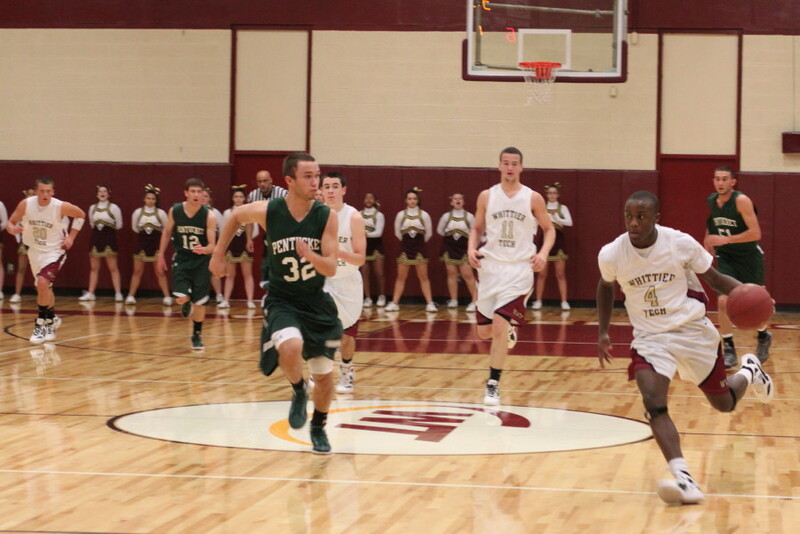 The senior collected twenty points in a remarkable half of basketball.